If you find any bugs, such as missing interiors (this can easily be found in the console), or solid white textures on interiors, please tell me. Level select might not tell you, but there is an Easter egg in every level. 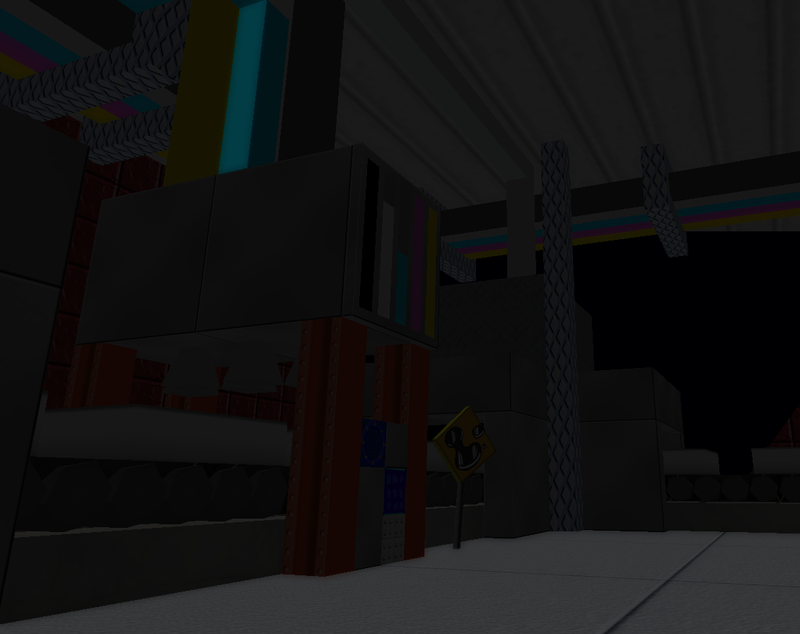 This is a level that would have gone in Pack 1P, but caused the camera to bug out even when the gravity modifiers were hit with perfect timing. 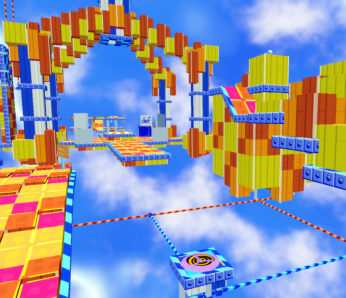 This level was inspired by Beep Block Skyway from Super Mario 3D World and uses the path node feature to mimic the behavior of the blocks from the inspiration. This was the first level for Pack 2P, but I managed to break path nodes again in a much crazier way than Unclear Orbit. Every time the blocks switch, a large lag spike is caused, the blocks scale a lot in one frame, and shapes (e.g. gems and the start pad) either disappear, or appear for that frame. Maybe the Platinum Team can get a bug fix out of it. Made for a custom level contest. It includes custom code, with some made by HiGuy (SimObject.set function) and Whirligig231 (code trigger). 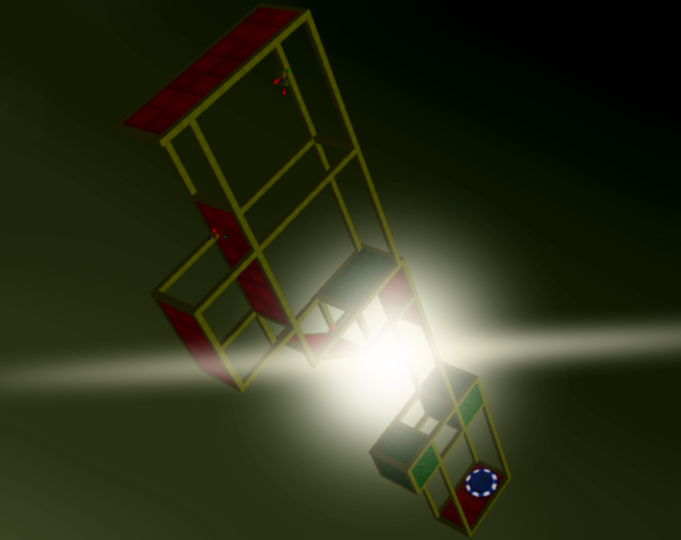 Also thanks to Whirligig231 for permission and helping squash a bug. Experiment with a new two new features, one being a new way to the Easter egg. Thanks to Jeff and HiGuy for their help on this project, and to Whirligig231 for allowing me to use the seamless motion trigger. Last edit: 25 Dec 2016 00:35 by Weather. Reason: NEW LEVEL! I'm looking forward to all that stuff, though! The level pack is released! Wowowowowowow, this looks so cool! I really don't have the patience to spend this much time on something like this. I'll be doing a video so on every level, so stay tuned on my channel. I tried each of these, and I'm super impressed. 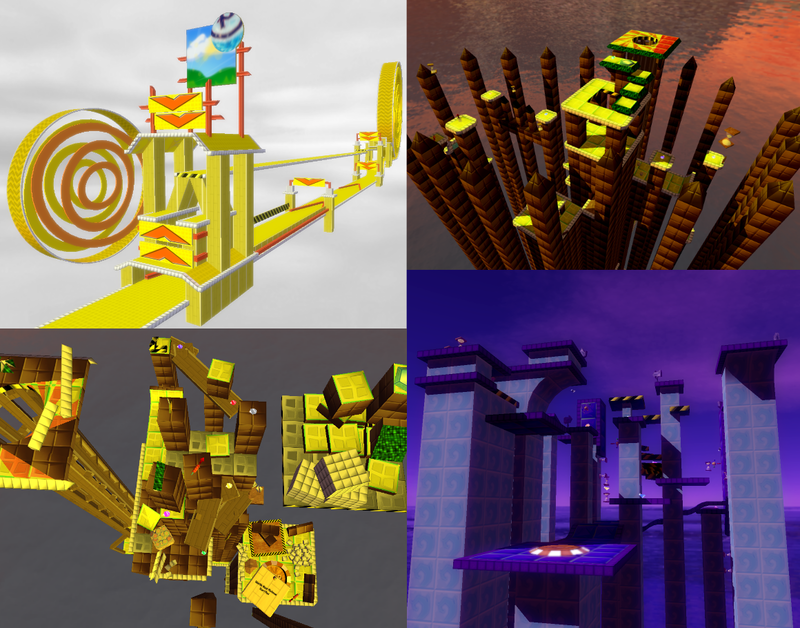 I admit I didn't play each level at length yet (partially because I'm too lazy to get my MBP up to date so all of the MBP 1.50 exclusive stuff I didn't see, plus I'm not too motivated with marble blast in general right now), but from what I've seen, these are some of the most good-looking levels I've seen in months, and the gameplay was really creative too. One of my favs was Cookies. Super original and easy enough to be fun for me, plus the look of the level was like nothing I've seen before. You really put effort into this. Kudos. This is how it's done. Excellent job with all of these! My favorite is Sandcastle Sprawl, as it has some incredible Constructor work done. Also, I like Compass Warp: The Lost Area for its use of the gravity point trigger! Very nice levels you have built! A nice mix between old and new style levels! 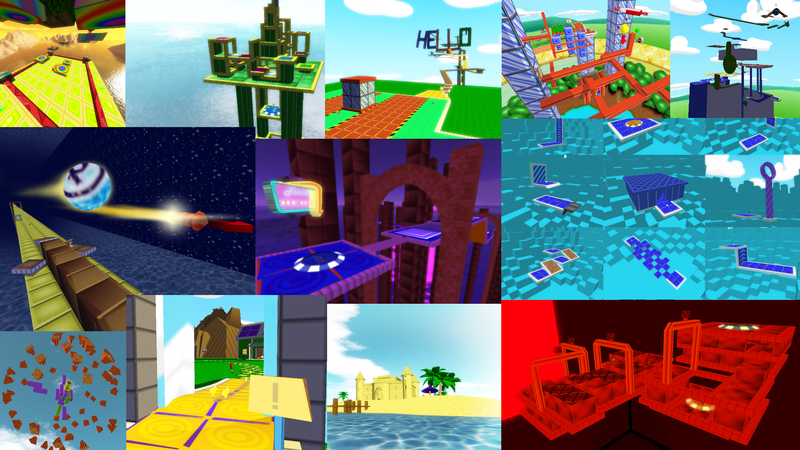 I've had a quick little peek at all of these levels and all of these levels look really fun. The mix of old and new style levels really makes every level enjoyable. I forgot to add Easter eggs to CW: TLA and Cookies. I've updated the first post, but here is a .zip containing just those two .mis files. After that, every non-MBG level should have Easter eggs. 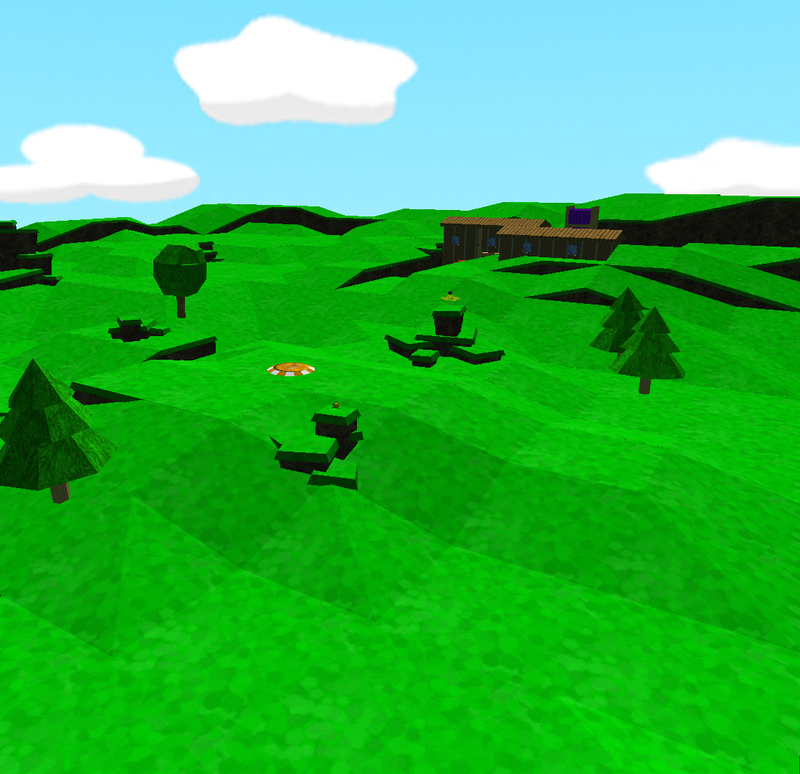 I've added a thirteenth level, see the main post . I loved all this stuff. I need level time testers (up to two, and preferably have beaten the MBP advanced levels) for my newest two levels; Settlement of Gauntlets and Platform Smash. Oh yeah, and I forgot an Easter egg again. Delete CustomCode.cs.dso, which will allow you to start the game once without the redundancy error, but the game will make a new .dso file afterwards, requiring you to delete it again. Or, delete CustomCode.cs.dso, and move CustomCode.cs to a location outside of MBP, like the desktop. Then you should be able to run the game and log in to the leaderboards as many times as you want, but this will make some of my levels unplayable, and to make them work again, you will need to move the .cs file back. The files can be found in platinum/data/missions/WeatherWonders/. That's too awesome for me! A world record list has been added. Unfortunately, the .rec file for the Terminal Velocity run either broke or got replaced or something, and I think it can even be found in the package. Still waiting on people way better than me to volunteer to test the two levels. I would like to test. But can you make a download for medifire? Last edit: 02 Feb 2016 14:26 by Nathan125. Can you download the level pack from MEGA? I don't see why not. I just tested your level but theres a problem with Online it thinks there is a virus. I'm thinking of re-releasing the pack without the .cs file and instead with the code in the .mis files. The pack has been updated yet again, THIS time excluding the CS file that causes the error online. 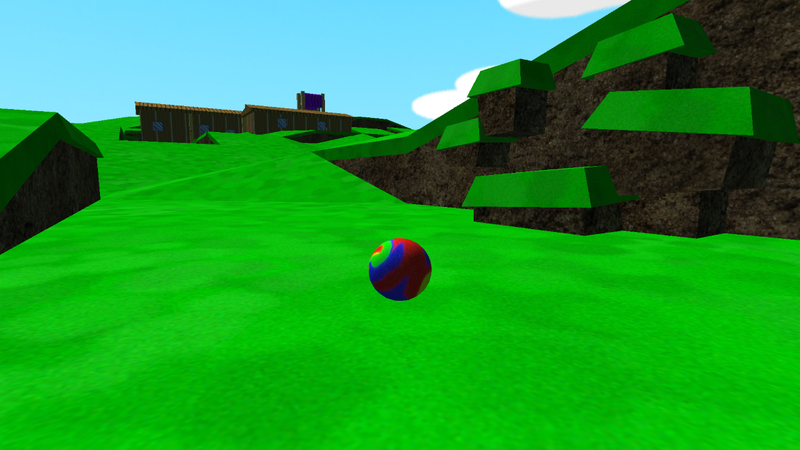 The code is now in the level files. 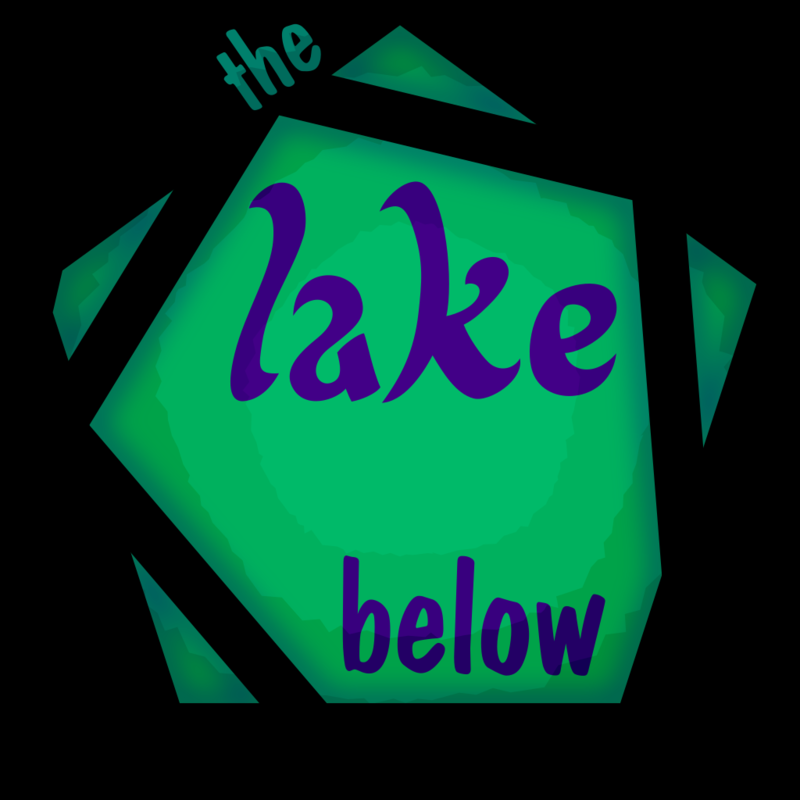 I've stopped working on general custom levels, because I've decided to make a themed level pack called The Lake Below. 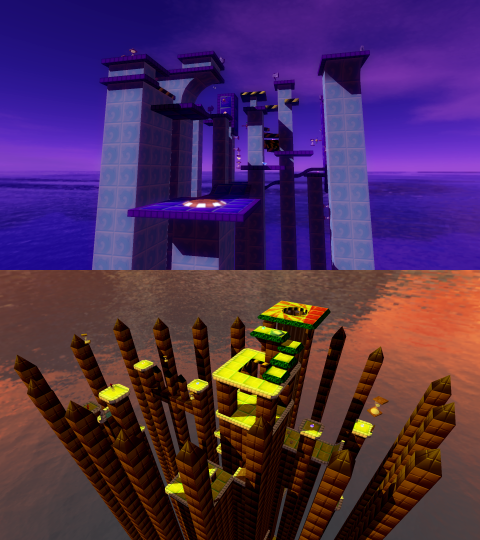 The first level, as the name suggests, will involve the lake in the MBG skybox. The levels will be focused on exploration and possibly story, and less on time. 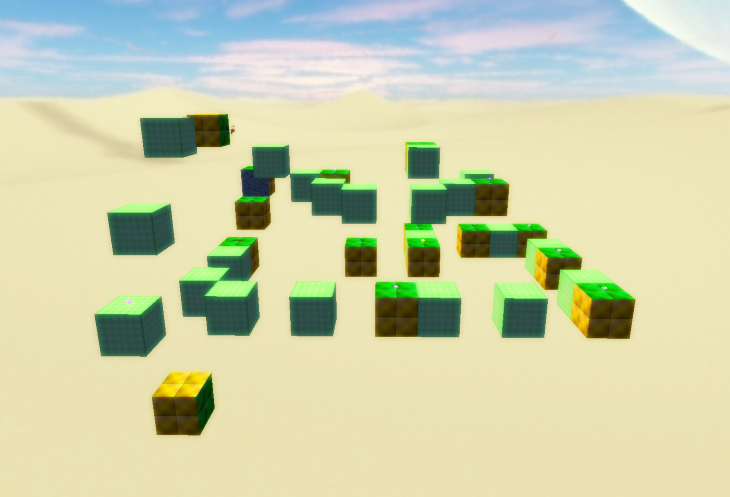 I've wanted to make a level pack like this for a while, and I've come up with a method of creating smooth terrain without Map2DifPlus screwing up that is way better than what I did with Sandcastle Sprawl. Very cool, I haven't really seen something with this design style before. Hey, it's pretty good, but are you sure you don't have a more decent grass texture for the ground? This is what it looks like up close. I like it because it tiles well and has a cartoonish look that I don't think is too far from MB. What do you not like about it? I'm going to make more interiors to stick on cliffs, because I'm not very happy with most of them. In case you didn't know, the main, mostly smooth terrain is made of tiles (with different sizes for the flat one, and the flat ones also have a taper, see the cliff on the left), and the small chunks that stick out are made of pieces or single interiors. For some reason, spending too long in the LE tends to cause low frame rate after a while, but restarting MBP makes it much smoother. Let's hope that only happens in the LE. Personally I love how this looks. Gives the level a unique cartoonish edge. I really like the way it looks. Personally I would like some more details, maybe something with a different colour just for the looks. I quite like it too. Reminds me of the 3D Mario games. Looks really neat, and same as kalle mentioned I would add things in different colors (like houses in reddish color) for contrast . I agree that there is way too much of a single color. I'll work on it.